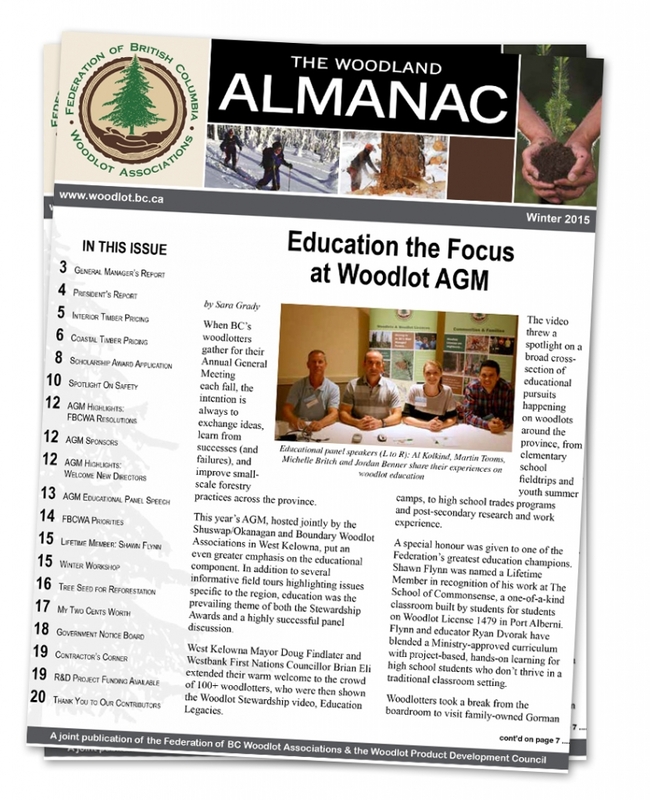 Issues of the FBCWA’s ‘The Woodland Almanac’ quarterly newsletter (a joint publication of the Federation of BC Woodlot Associations and the Woodlot Product Development Council) are available in PDF form. Click below to view/download issues. To view older Almanac Issues, click here for our archive. If you would like to receive the Woodland Almanac in email form, please contact admin@woodlot.bc.ca.